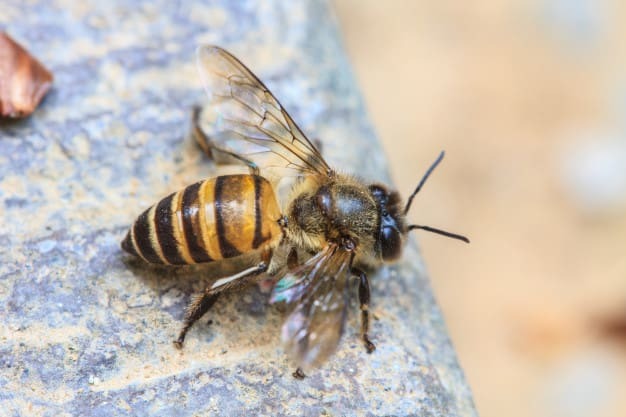 Bees tend to build fairly simple and disorganized nests in; dry grass clippings, piles of dried leaves, porch furniture cushions, insulation, or other loose “fluffy” material. Wasps seem to prefer new construction to old, and I keep very busy treating wasp infestations in suburban housing developments. Hornets nests are entirely exterior; trees, shrubs, under decks, and high in the eaves. They construct a “football” or upside down teardrop-shaped nest from gray paper.